BUCYRUS — Christine Hunter, 37, of Galion, was sentenced to 18 months in prison this week when she appeared before Crawford County Common Pleas Judge Sean Leuthold. On July 20, 2017, Hunter tested positive for cocaine. According to court records, she gave birth one month early to a child addicted to cocaine. The baby weighed a little more than five pounds and was sent to the Neonatal Intensive Care Unit at MedCentral Hospital in Mansfield. The Judge asked Hunter if she thought the cocaine had anything to do with the premature birth of her son. She replied: “possibly,” to which the judge shook his head in dismay. In other court news, Brice Miller, 23, also of Galion, will spend nearly the next five years in prison. 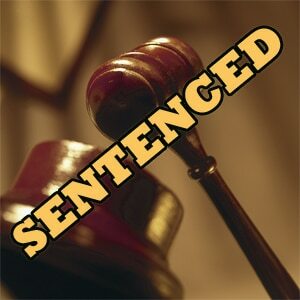 Miller was sentenced to 59 months in prison on felonious assault and drug possession charges. Miller was facing a total of nearly nine years in prison before his attorney, Adam Stone, and prosecutors worked out a deal. He also faces five years of post release control. Miller was accused of dragging a woman with his vehicle after an altercation. He caused her serious injuries and a lengthy hospital stay. The woman did not appear in court to give a victim impact statement. Leuthold gave him some parting advice. In a hearing asking for a no-contact order to be lifted between two parents, Leuthold took the time to explain to the couple exactly what he expects from them in the future. Paul Holmes, 33, of Bucyrus was convicted of felonious domestic violence. He appeared in court with his fiancée, Ashley, who supported the revocation of the no-contact order. She explained that she and the defendant share a blended family of five children and have their own infant. “So you have six children between the ages of one and 11 years old to care for?” asked Leuthold. Holmes’ fiancé went on to explain that one child has very special needs and she needs help to care for the children while she works. The Judge told Holmes he understood they are under a lot of stress and that probably things intensify when he decides to buy a twelve pack and drink. Editor’s note: In an effort to better serve readers, the Galion Inquirer has reached a reciprocal agreement with the website crawfordcountynow.com to share resources and stories to better serve readers of both organizations.